The Pittsburgh Symphony Brass was organized by George Vosburgh in 1994 with an emphasis on featuring some of the world’s finest orchestral brass musicians playing in chamber ensemble. The result has been a unique blend of virtuosity with brilliant sonority usually associated with orchestral brass. The ensemble, all of whom are members of the Pittsburgh Symphony Orchestra, endeavors to stretch the limitations of performance and explore a wide range of musical expression rarely achieved in brass music. The American Record Guide described the ensemble’s first compact disc, J.S. Bach, The Art of Fugue for the Four Winds record label as “Magnificent, an extended example of first rate playing, with beautiful tone qualities, impeccable intonation, and polished execution.” The ensemble’s second recording A Christmas Concert, has been described by the Pittsburgh Post-Gazette as, “Holiday cheer delivered with virtuoso flair.” At a recent concert for the Frick Art and Historical Center, Mark Kanny, music critic for the Tribune-Review, described the concert as “impressively polished.” After a concert for the Pittsburgh Chamber Music Society the Tribune-Review wrote, “Full of brilliance and power, but also stunning in subtle artistic qualities made possible only by masterful control”. 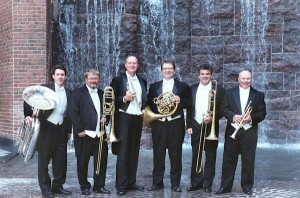 The Pittsburgh Symphony Brass released a third compact disc in 2002. This recording, Cantate Hodie for the Clarion label is in collaboration with the Bach Choir of Pittsburgh and features contemporary works based on Christmas themes for mixed chorus, brass, and organ. The groups fourth and fifth recordings, The Spirit of Christmas (2003) and A Song of Christmas (2008-both for Four Winds) again received great reviews. Music performed by the PSO Brass can also be found on The American Girl’s Christmas, Music of Christmas Past. The groups association with the American Gramophone label has resulted in partnerships on that label’s Holiday Musik II and Renaissance Holiday recordings. – Click to listen to some tracks. The group’s featured performance on National Public Radio’s Performance Today is replayed annually on NPR stations throughout the United States. 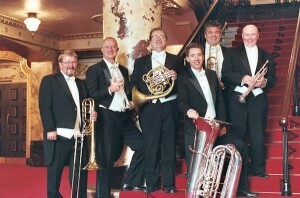 The PITTSBURGH SYMPHONY BRASS has performed in Italy, Canada and the United States.